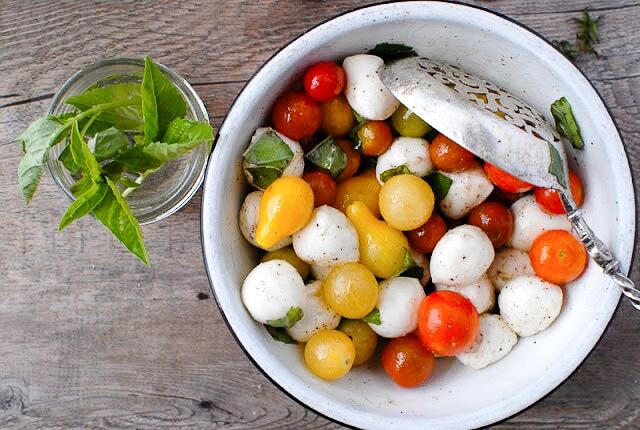 Insalata Caprese is arguably one of the most recognized seasonal salads featuring ripe tomatoes, fresh basil, mozzarella cheese, olive oil, salt and pepper. 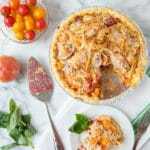 The only way I could imagine improving on this simple, mouthwatering classic is to make it bite-size! 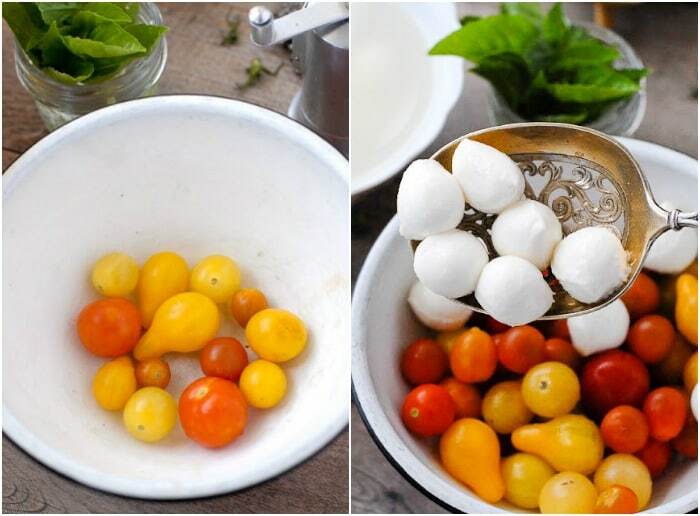 Bite-size Insalata Caprese uses summer’s sweet cherry and pear tomatoes along with the traditional ingredients in mini size for an easy to prepare salad all will love! I now do not recall my first introduction to Insalata Caprese but it was love at first bite for me. 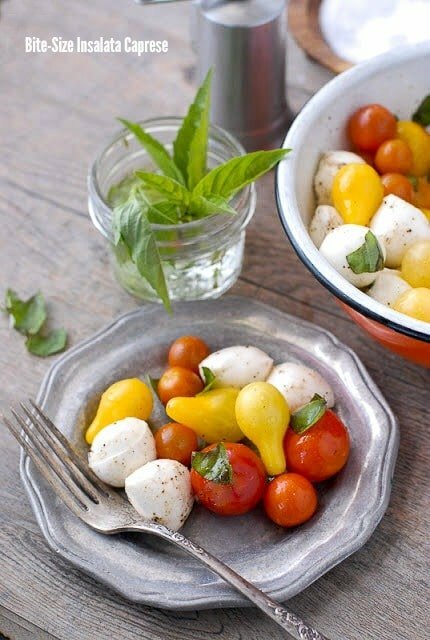 A simple, fresh salad of Italian origin made only of tomatoes (usually slices), freshly made mozzarella cheese (which if you have not had, do not confuse it with processed mozzarella; totally different animal), fresh basil leaves, a drizzle of olive oil, salt and pepper. If ordering it at a restaurant anywhere in the world you’d expect a plate of several individually architected ‘bites’ (really larger than one bite) of a tomato slice, a thick slice of mozzarella matching the tomato slice in size, a basil leaf and drizzle of olive oil that slinks underneath the tomato providing a kiss of oil to both sides of the salad. 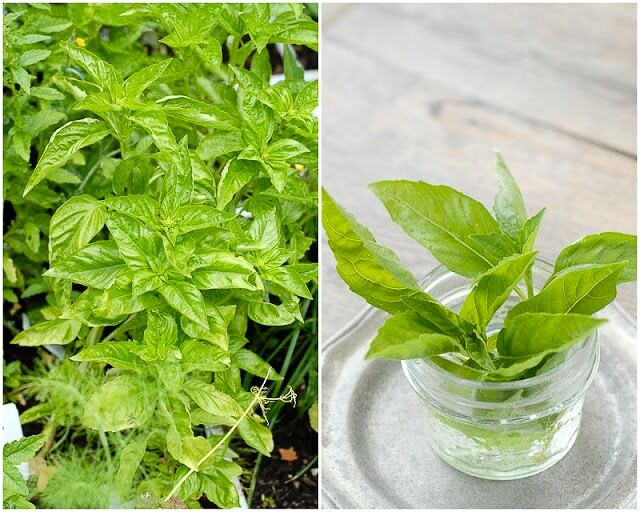 Insalata Caprese (literally translated from Italian as the ‘salad of Capri), is crafted to bear resemblance in color to the Italian flag in red, green and white. You’ll find it to be a staple on the starter menu for most Italian restaurants. 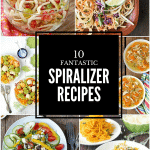 It is served commonly as an appetizer versus a side dish. To me this is really the only time of year to make this salad. 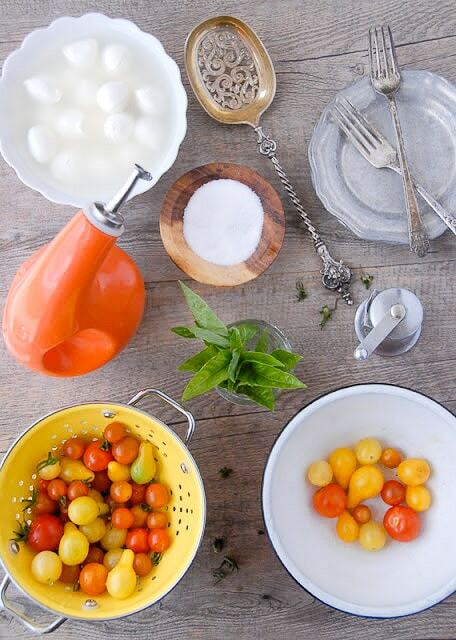 To enjoy it in its highest and most flavorful form, it requires the vine ripened tomatoes and fresh garden basil. Its simplicity is certainly part of the salad’s charm, as well as being able to be whipped up in less than 10 minutes. 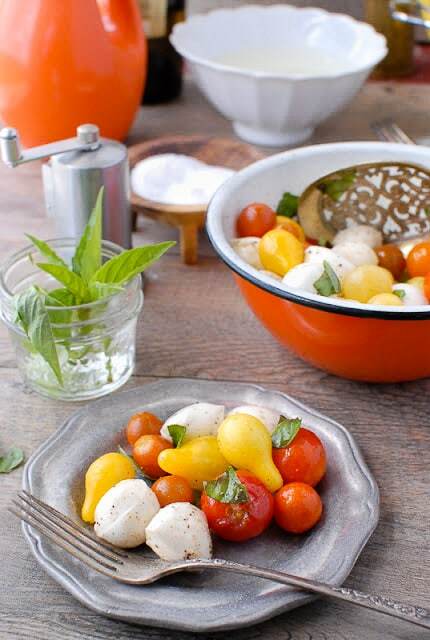 With the varieties of cherry and pear tomatoes available, it’s easy to make a colorful version of Bite-Size Insalate Caprese to entice the eyes as well as the palate. 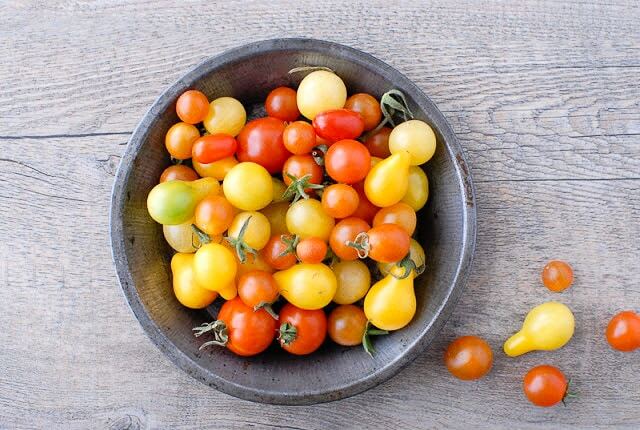 The intense sweetness of the tomatoes will surely make a tomato-lover out of the most reluctant of eaters too! 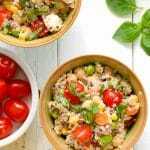 With tomatoes harvesting well into early fall this salad brings the celebration of summer into busy weeknight meals thanks to it’s speedy preparation, as well as makes it a candidate for lunch boxes when kids head back to school. Having everything in mini size is fun for kids and in my experience, intriguing to their lunch table crew too. 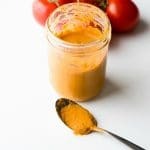 I’ve had multiple emails about this being in my kid’s lunchboxes from other moms wanting the recipe (pin it here to save for fall!). 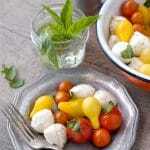 In the traditional Caprese salad (the bigger version) red tomatoes are used exclusively. 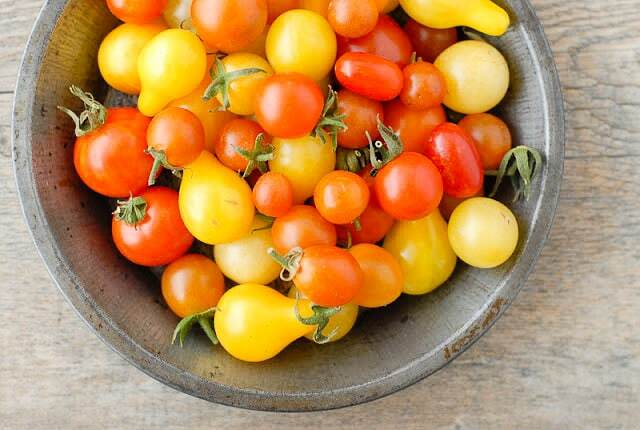 There are so many varieties of cherry tomatoes it would be a shame to discriminate and lose the beautiful color and flavor in this version. I used a mix from a local farm that contained red cherry tomatoes, yellow pear, orange and a purple/black variety. Fresh garden basil makes this a full celebration of summer for me. 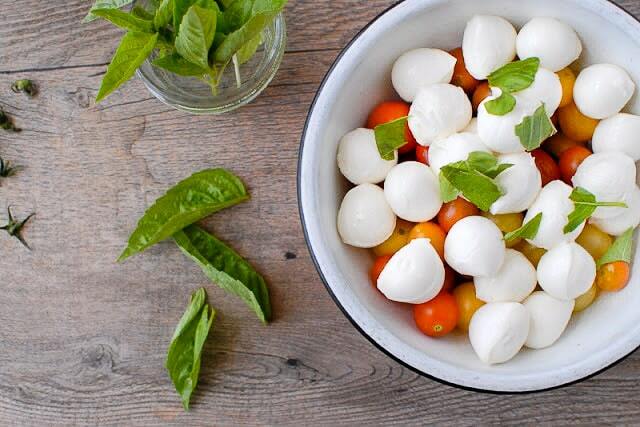 In a large bowl place tomatoes, mozzarella balls, basil. Drizzle with 1-2 tablespoons of olive oil. Salt and pepper to taste. Gently toss the salad to fully coat. Serve at room temperature to enjoy the fullest flavor. 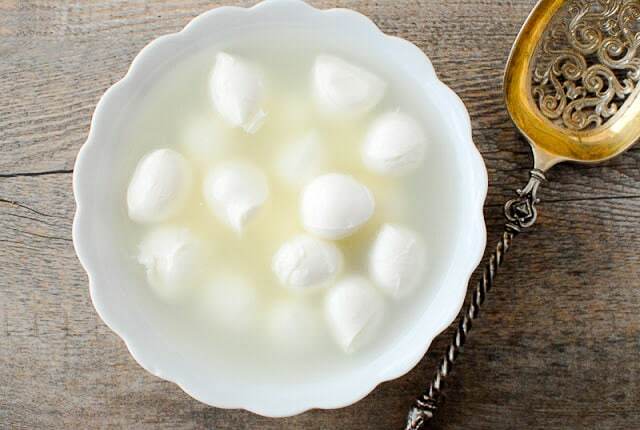 *Unless you have a fresh source for the mozzarella you can find it in the cheese or dairy section in your grocery store in a plastic tub filled with water. 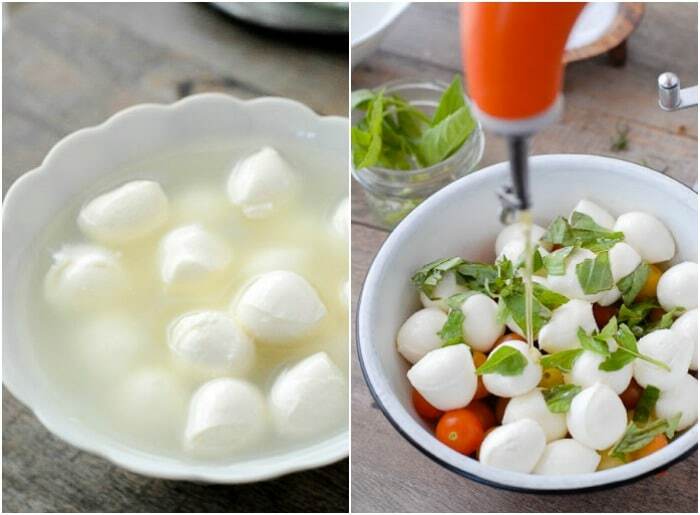 If you are unable to find the cherry size, you can always substitute regular fresh mozzarella and cut it into bite sized pieces to match the volume of the tomatoes. 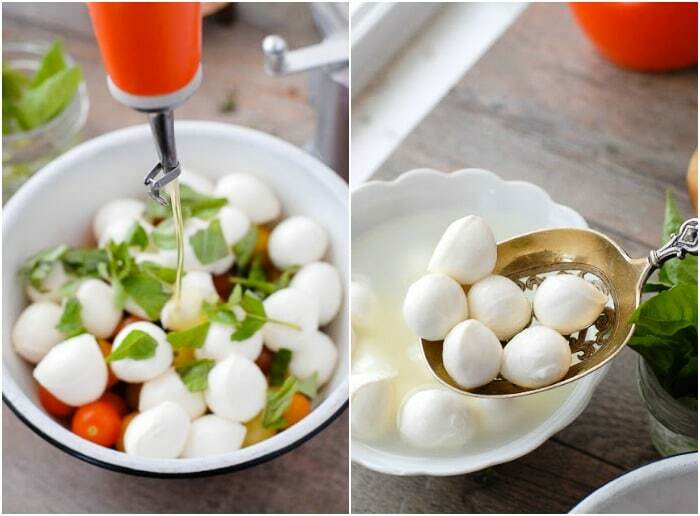 I love caprese salad! it is one of my favorites. Now I can make it at home. Thanks for sharing the recipe.